The backyard is a place of refuge. On a warm sunny Saturday after a busy week, sometimes it's the only place you want to be. But if you're neighbors are standing ten feet away on the other side of the fence, it probably won't feel as inviting. In this case, a little landscaping goes a long way toward creating the private retreat you deserve. Broadfleaf shrubs can be pruned formally or left to grow in a natural form. You'll want to choose an evergreen, fast-growing species for year-round privacy that doesn't take forever to fill in. If you're in a hurry, there's no choice but to invest in big plants, Shrubs in 15-gallon size nursery pots are usually big enough to create an instant hedge. Coniferous shrubs have a decidedly different feel than broadleaf species. Their leaves are narrow and needle-like, dark green and very dense. 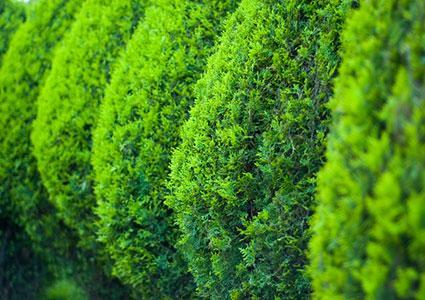 Some of the fastest-growing hedge plants are conifers, such as the Leyland cypress. Make sure you check the mature size, however. Most of the conifers advertised as fast-growing eventually reach over 20 feet tall, making maintenance exceedingly difficult. 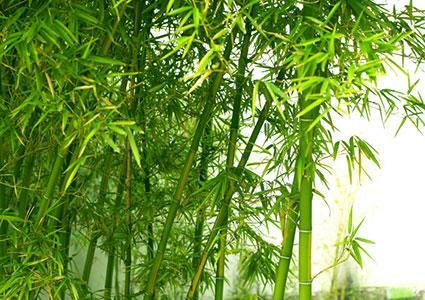 Bamboo usually grows bigger than other plants in the same size pot, making it an economical option for creating an instant hedge. Plus, its graceful aesthetics and elegant ambiance are hard to beat. The downside is its ability to creep all over the yard. 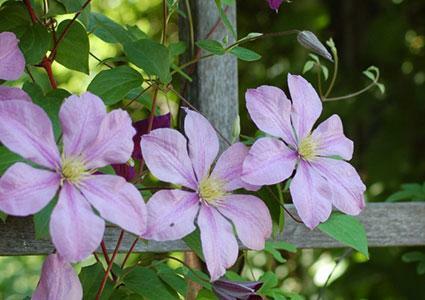 The trick is to purchase a 'clumping' variety, rather than a 'runner'. The latter requires an underground barrier to curb its invasive tendencies. 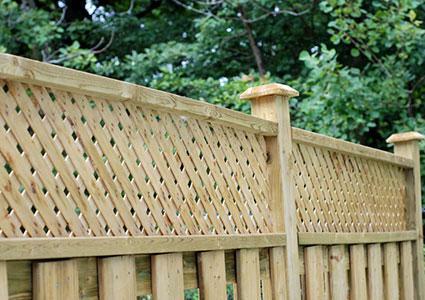 A six-foot wooden fence gives total and immediate privacy, but is a major investment to build. Each post needs to be set a minimum of two feet deep in concrete to prevent wobbling over time. Paint or seal the wood every three or four years to maximize its lifespan. Fences may be a lot of work to build and maintain, but an attractive fence becomes an asset to the property, increasing the value of the home. A brick, concrete block, stucco or natural stone wall makes a dramatic architectural statement and is the essence of privacy. A garden wall tall enough for privacy is not a feasible do-it-yourself project, as it will require professional engineering to be built safely. It's a good idea to interview several contractors and choose one that will listen carefully to your needs and desires before hiring someone for the project. If your need for increased privacy coincides with the need for a new shed, plan it strategically to form a visual screen. 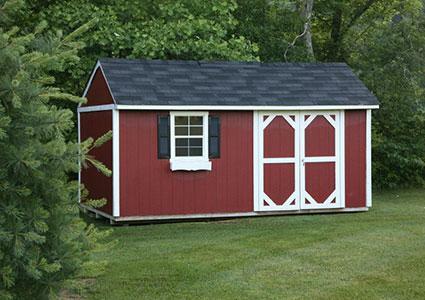 Outbuildings are generally placed on the edge of the yard, anyways. Choose materials and a design that blends with the house and other nearby landscape elements. In most places, these structures will require a building permit, so check with local authorities for the specific requirements in your neighborhood before getting started. 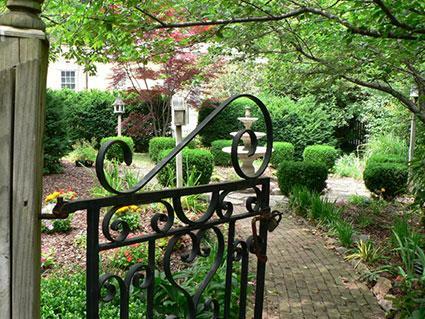 Good landscape design often involves combining multiple elements to achieve the goal. 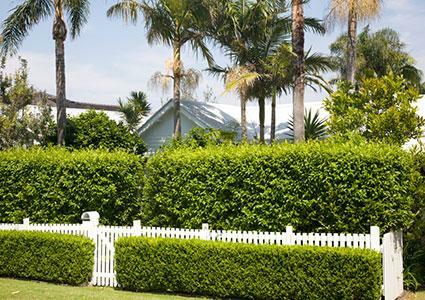 For example, a three-foot picket fence with a six-foot hedge behind it is visually more appealing than either on its own. The same effect works well with a low wall, which is an approachable project for homeowners, unlike taller versions. 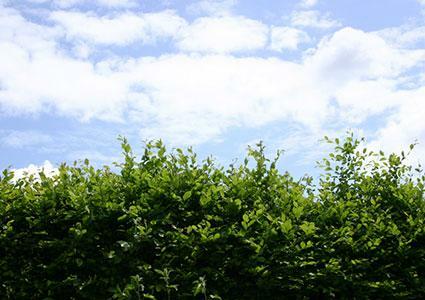 If there is a slope along the property line where greater privacy is desired, install a low retaining wall at the base and plant a hedge above it to give an immediate boost to the height of the shrubs. Most vines grow extremely fast, making them an economical choice for gaining privacy - but they do need something to grow on. They are a great option to turn an existing see-through fence (like chain-link or wrought iron) into a solid visual barrier. Lattice, a matrix of wood slats with holes, is a flexible and adaptable material to couple with vines for a quick screen around a small area. 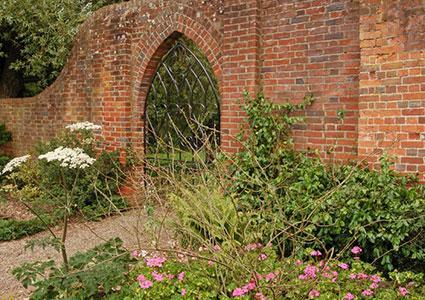 Even for solid fences and walls, vines are a useful accessory to soften their appearance. If you're not in a huge rush to have total privacy, a carefully-planned piecemeal approach to enclosing the backyard will yield a more charismatic landscape in the long run, rather than just plopping in a uniform barrier on all sides of the yard and calling it done. Consider using multiple species and multiple structural elements in conjunction and tying them together with the overall design of your backyard paradise.